I root for the underdog. 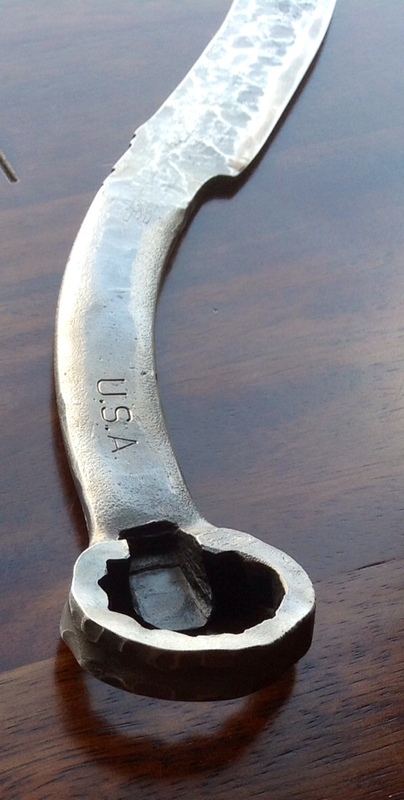 Here’s a bottle opener made out of the vice screw of a broken bench vice. 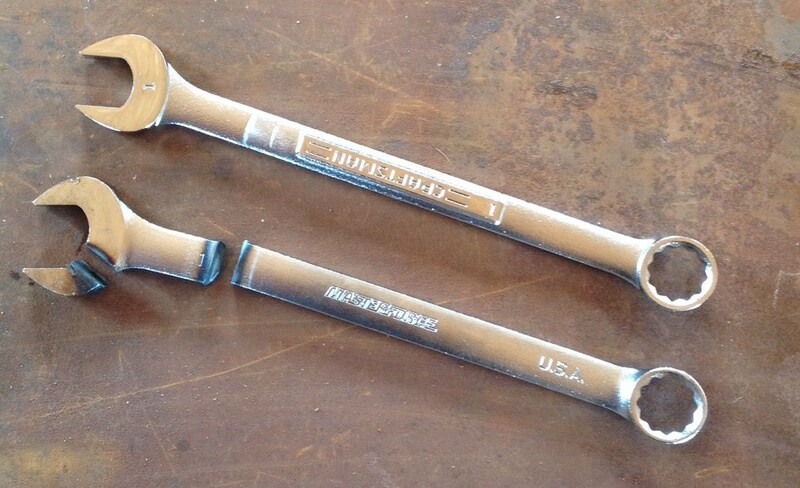 It’s triple oil quenched to magnetic North and heat treated with hate. 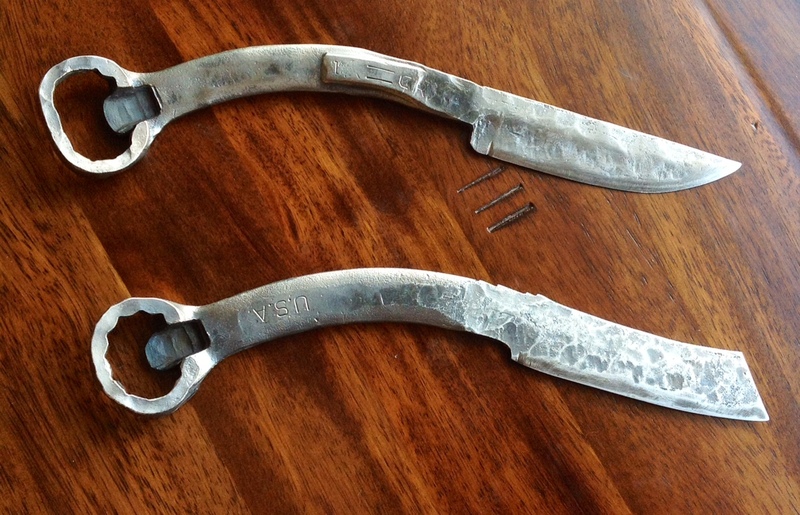 The in-famous wrench knife! 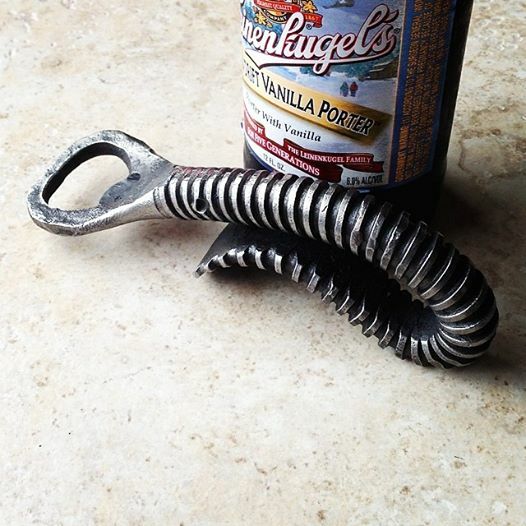 With the the ever important adult beverage opener end. Here is a photo-journey of the some of the process. 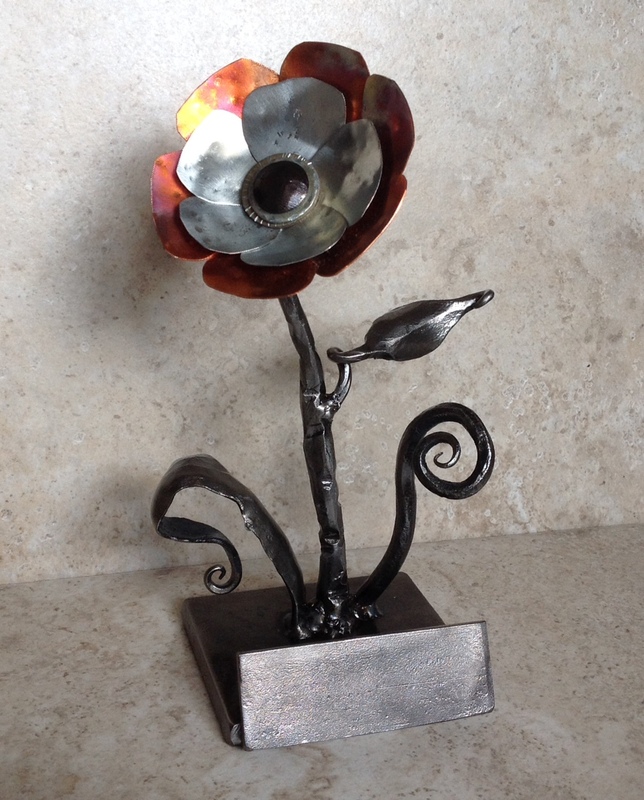 I was honored once again to be asked to create the “Flower Trophy” (minus the brass name plate) for the flower contest at the 21st annual Northern Minnesota Metalsmiths conference. 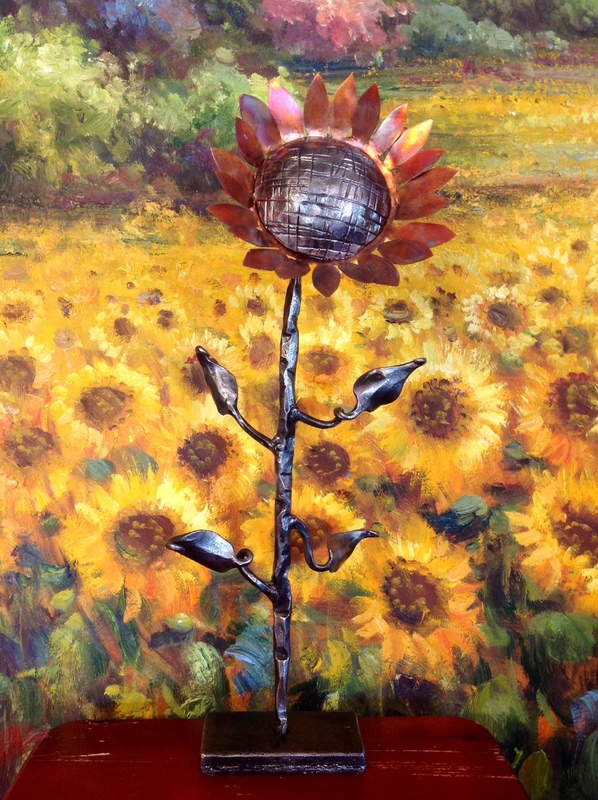 I always look forward to seeing all the fantastic metal sculptures that are put on display at our yearly gathering of metal artists. I will make sure I post a picture of the winner next weekend. 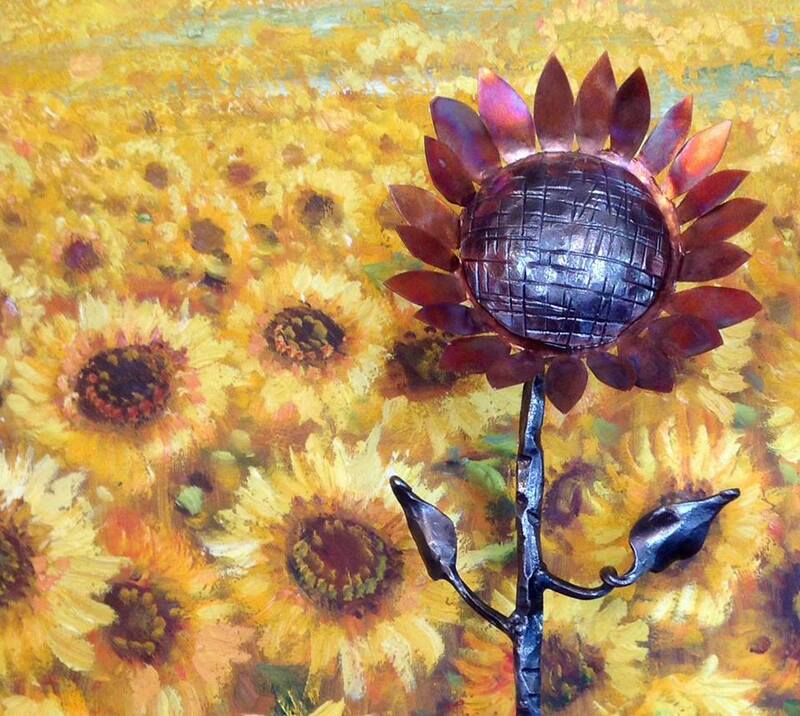 The sunflower sculpture stands 15 inches tall and is forged out of mild steel and copper. 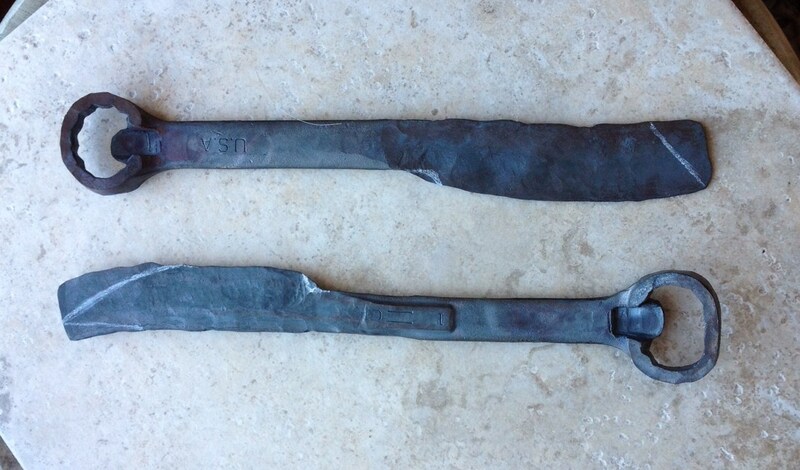 Commissioned by a client in the Sunshine state, Florida.